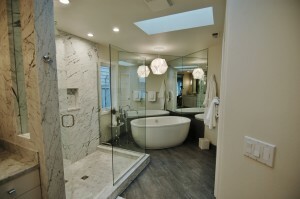 This article from Houzz.com provides some good guidelines for lighting your home. 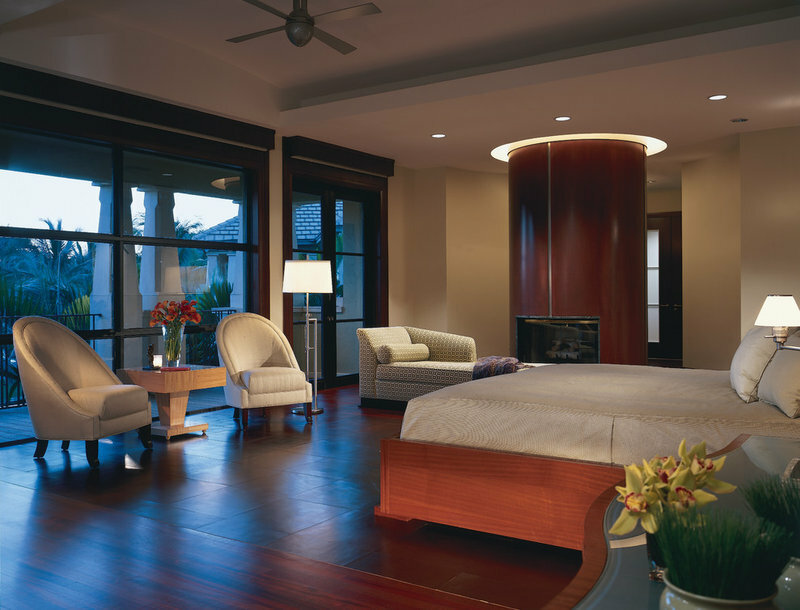 Before you update furniture, replace floors or remodel a living space, consider whether your lighting works. Lighting is a telltale sign of design quality and one of the most affordable ways to update your home without busting your budget. It sets a mood and helps define a style. Without it, important architectural details, artwork and focal points fall flat and unnoticed. When done right, lighting functions as a carefully tuned orchestra, creating a pitch-perfect composition of light, layers, direction and flow. Lighting placement, fixtures and functions are the three main ingredients to think about when giving your living space a light makeover. So if you’re wondering if it’s time for an update, ask yourself these questions. As you evaluate the status of your lighting style, keep in mind that lighting also functions as art that helps define your style, set the mood and perform practical tasks. 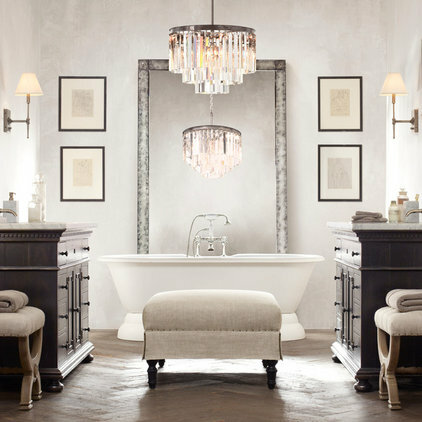 Think of adding light in unexpected places, such as a chandelier in the master bathroom. And consider using light in unconventional ways — such as using hanging pendant lights as reading lamps. Bright idea for unexpected lighting: Look for opportunities to install light fixtures in alcoves, tray ceilings and wall niches to trace interesting lines. 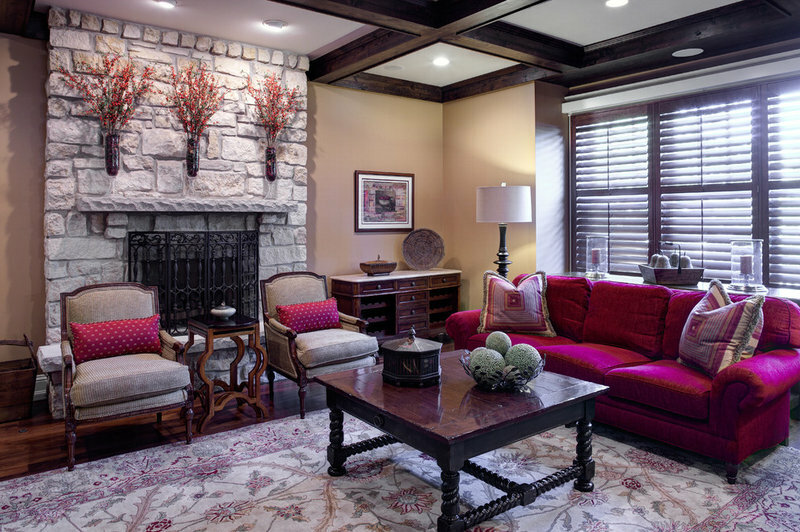 Notice the hidden lights in the ceiling alcove above the cylindrical fireplace mantel here. Painting with light is another way to add surprise. 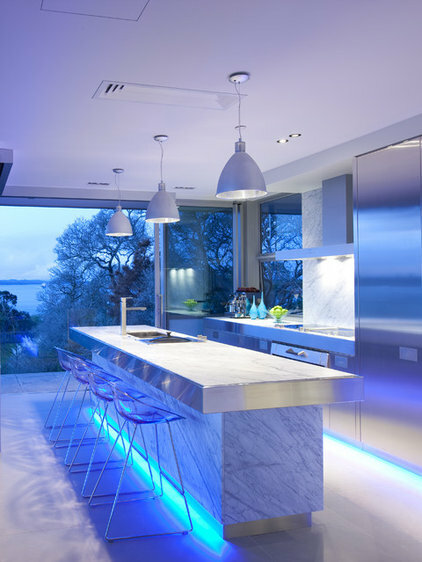 Here colored LED lighting with toe kick lights underneath the island and cabinets creates dramatic appeal. In this dining room, the colored LED lights in the tray ceiling and alongside the stone wall add dimension and visual interest. Notice how the light calls attention to the texture of the stone wall. Rope or strip lighting achieves this effect. “Think of lighting as the jewelry of a home, and the more unexpected places that you can put lighting or paint with light, the more custom the home will look,” says Kilgore. 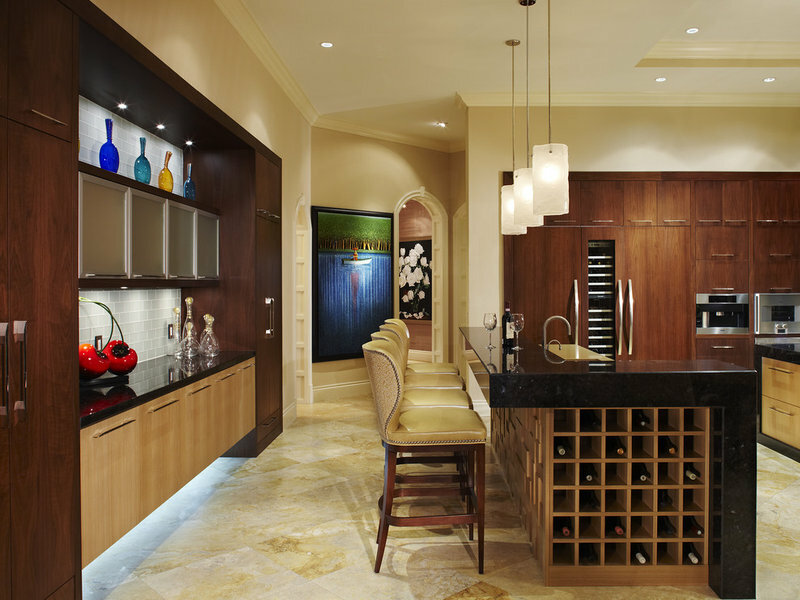 Another example: Highlight the silhouette of a cabinet with undercabinet and in-cabinet lighting. 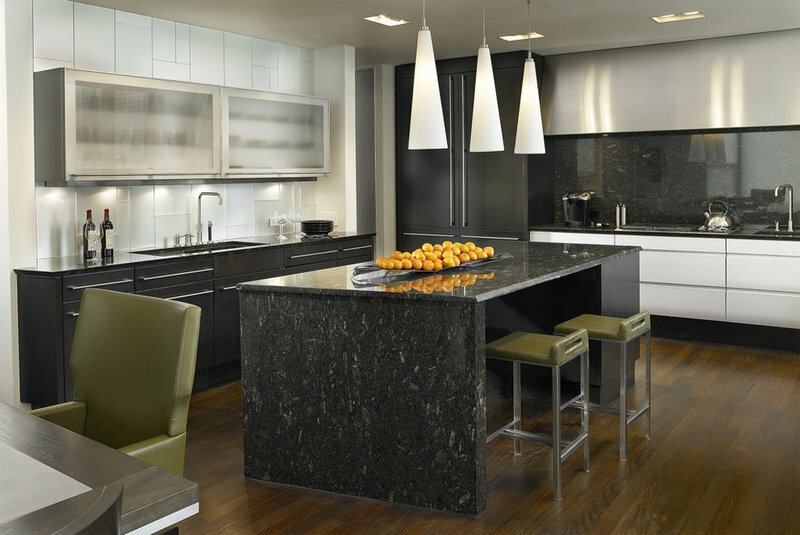 “I think that indirect lighting under and above the cabinets should be mandatory in modern lighting design,” Kilgore says. She suggests using tape lighting to achieve a subtle illuminated line of sight. 2. Does My Lighting Have Layers? A perfectly lit room has three basic layers: overhead lighting, task lighting and accent lighting. This bedroom pulls all those together — the chandelier for overhead, bedside reading lamps as task lighting, and accent lights above the headboard and artwork. 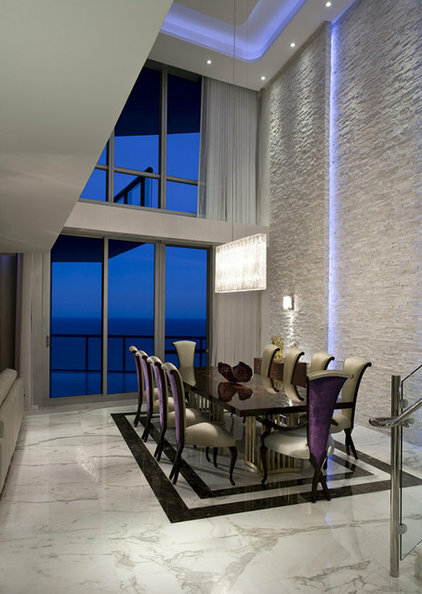 Bright idea for layered lighting: Think of the functional and decorative purpose of each light source. 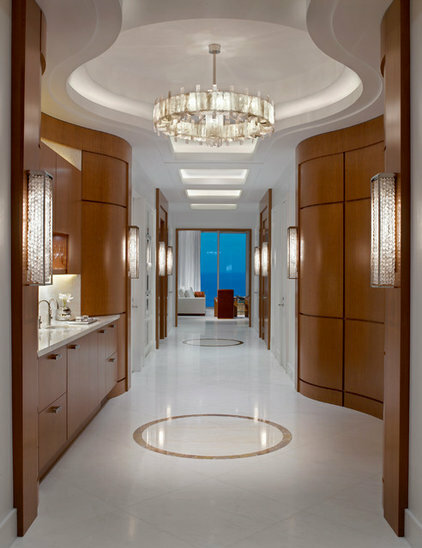 For example, in this entryway the wall sconces are a decorative touch, table lamps function as task lighting and a chandelier provides overall light. 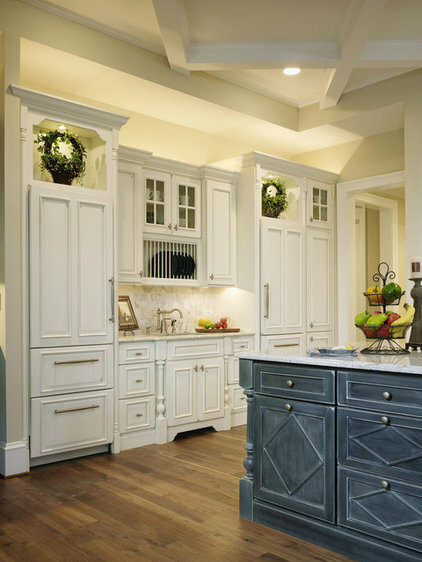 This kitchen features several layers of light: The recessed cans provide overhead illumination, the pendant lights above the island illuminate the workspace and undercabinet area, and above-cabinet accent lighting gives the space a burst of savvy style. 3. Do My Lights Dim? Good lighting should multitask and set the mood. A dimmer is an inexpensive ($20 to $25) and essential tool that puts you in control of the quality and quantity of light. You can install a dimming system either as a whole-house lighting control or by adding a wall box dimmer in each room and lamps with dimmer switches.The American Lighting Association (ALA) estimates that a dimmer switch saves $30 a year in utility costs. Before installing a dimmer, make sure you have dimmer bulbs. Bright idea for dimmed lighting: To make the most of your lighting, install the highest-wattage lightbulb possible, then dim it down to accommodate the mood and lighting needs. 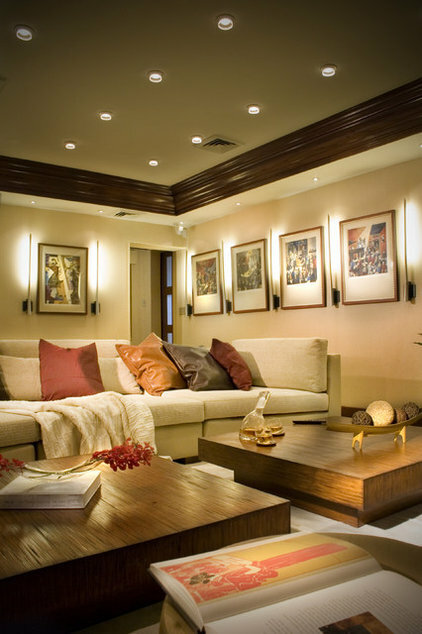 Consider putting dimmers on both overhead lighting and lamp lighting. “As another bonus, dimming your lights 50 percent can save approximately 40 percent in electricity and increase the life of your bulb,” says Kilgore. 4. Do My Fixtures Reflect Current Styles? 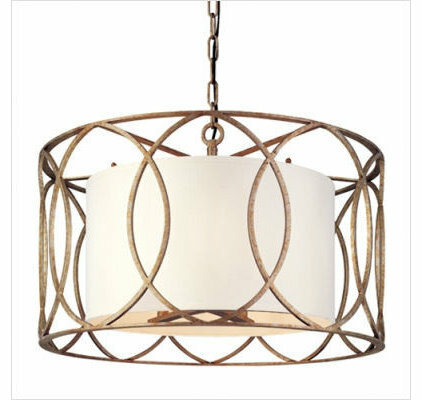 One of the quickest ways to update the look of a living space is to swap decorative lighting fixtures for more up-to-date styles. The ceiling fan as a light fixture is now a bit passé. Bright ideas for current lighting styles: Consider replacing your ceiling fans with eye-catching chandeliers. Keep the overhead light at 150 to 300 watts for optimum illumination. Mix and match your lighting fixtures. They don’t have to be from the same lighting family or design. Notice how in this room the star motif overhead — a look that is trending now — the night table lamps and candle wall sconces mix styles. 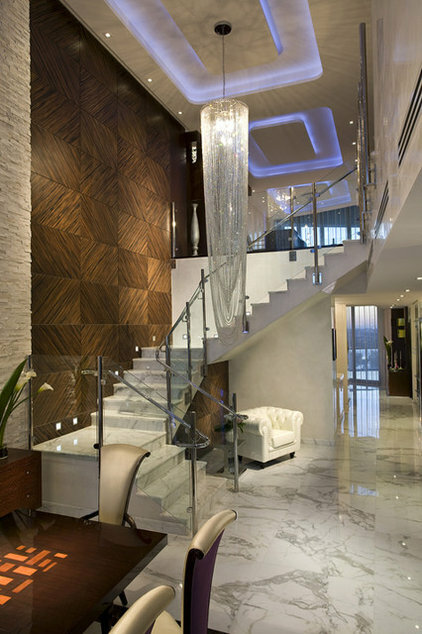 Crystal remains a popular choice for lighting fixtures and is used across the style spectrum. In this contemporary bathroom, the crystal chandelier has a modern presentation, drawing attention to the underlit wave ceiling. 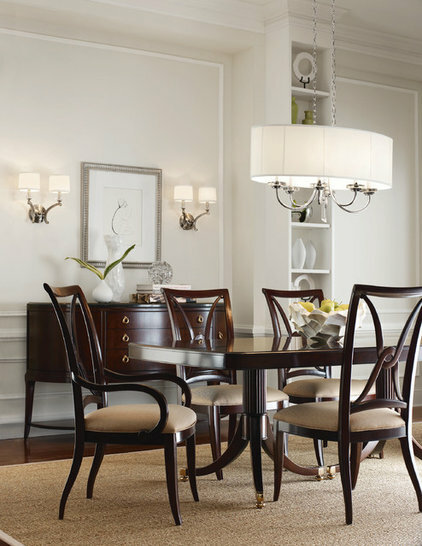 Lighting choices can also take cues from transitional style, defined by clean lines and lighter finishes. “People have been looking at dark, heavy scrolls for so long that they are wanting something light and fresh,” Kilgore says. A hot look in light fixtures right now is mixed metal, dulled gold, and foiled silver over gold, as seen here. 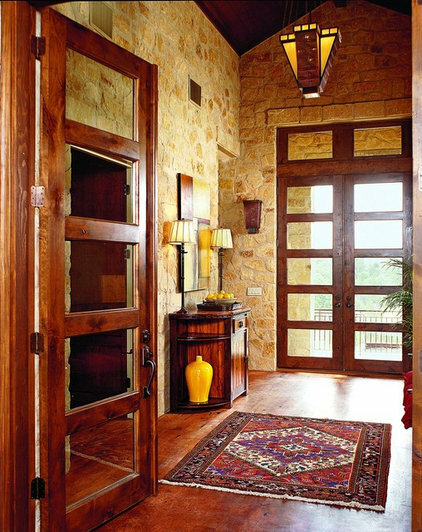 The finish is popular with the transitional style because it has an antique yet contemporary look. Lighting inspired by the 1970s is making a strong comeback too. 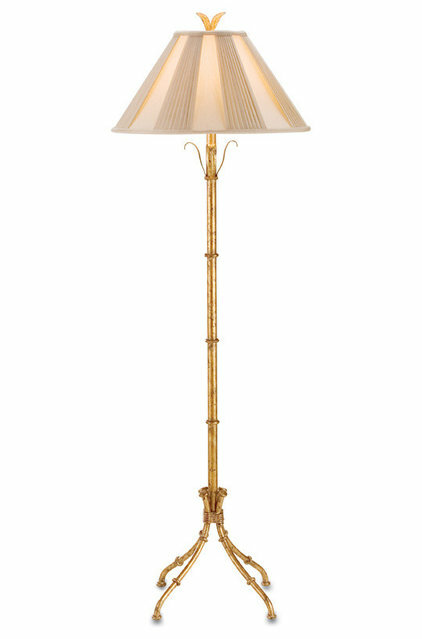 This bronze metal floor lamp with a bamboo-recalling design captures the look. 5. Is My Lighting Focused? Lighting design is all about the strategic placement of light and matching the perfect light source to its intended function. Indirect lighting pulls focus, adds texture and layers the sight line. Bright idea for focused light: Pick focal points that you want to highlight, then direct a light source toward them. “Wall sconces are great accent lighting fixtures to highlight artwork and bring light to a space at eye level,” says Kilgore. Wall sconces typically cost $50 to $100. If you want the room to mimic daylight, the ALA recommends using a bulb rated 4,000 Kelvin or higher. (The Kelvin, or K, rating describes how visually warm or cool a light is.) The higher the K rating, the cooler or bluer the light appears. The Color Rendering Index (CRI) is the second important number. A higher CRI is optimum. For example, 100 CRI mimics natural light and is perfect for highlighting skin tones and clothing. CFLs and LEDs usually have ratings in the 80s and are usually less flattering light sources. 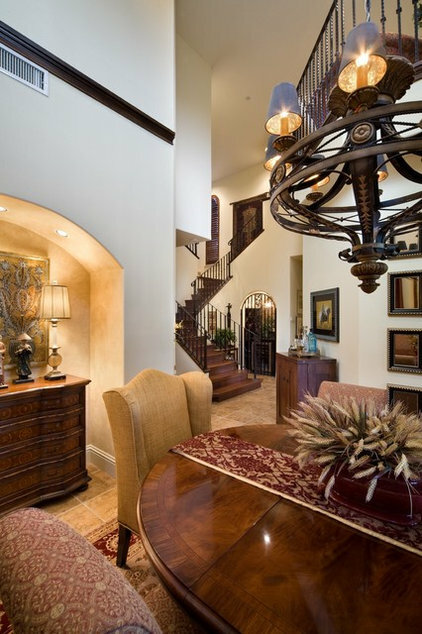 A chandelier in the dining room should hang 30 to 36 inches above the dining table. 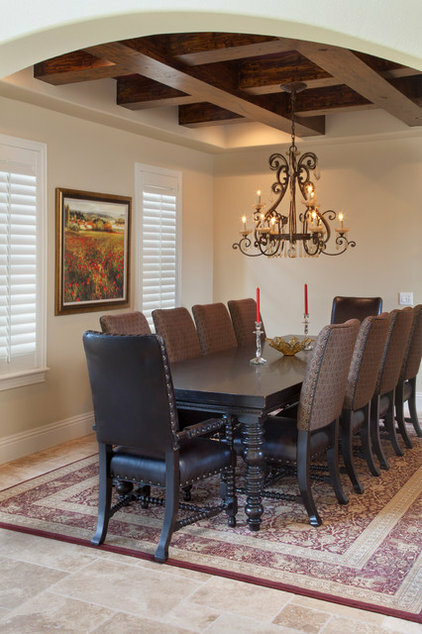 The width of the chandelier should be at least one half the width of the table. 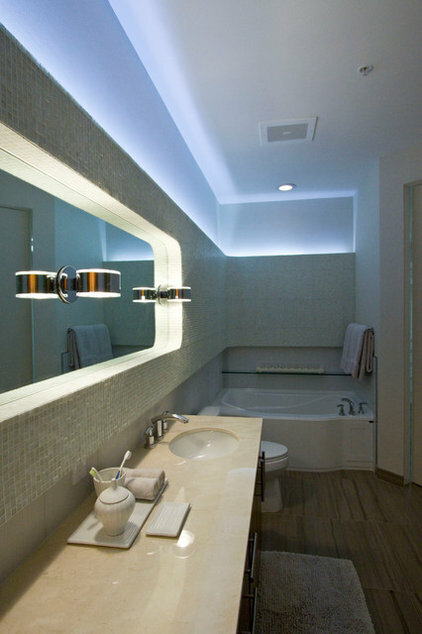 Recessed can lights and track lights are ideal for low-voltage direct lighting. They typically cost $50 to $100 per light. Translucent glass shades on pendant fixtures will reduce glare in the kitchen. 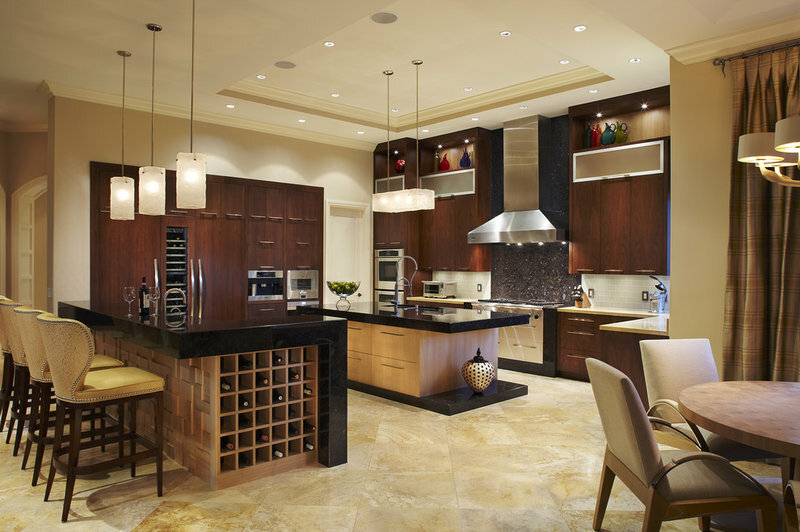 Hanging overhead lighting fixtures such as pendants should sit 30 to 36 inches above the island work surface. For flattering kitchen lighting, bulbs with a color output of 2,700 K for a sightly red cast are recommended. Use high-K halogens for a bluer light in task-intensive areas such as places for doing homework or crafts, or paying bills. The ALA recommends track lighting for eye-intensive activities as well. The lights can be individually adjusted to pinpoint light for tasks. Tell us: Have you updated your lighting lately? Please tell us what you learned. If you’d like help with your projects, contact Done to Spec for a free consultation.